Over the years Co-optimus has seen the co-op gaming industry expand to include some unlikely sequels (Dead Rising 2) some new takes on old co-op (Gears of War 2's Horde mode) and all kinds of unique ways to bring gamers together. We know it's the co-op that gives these creations life, but what is it about the co-op that really makes it something that developers look forward to sharing with us? IGN chatted the co-op topic up with developer Jason Rohrer (of Sleep is Death) to discuss what makes co-op continue to bring us together. We've covered this scenario (or rather, the one where you don't wait for that special co-op partner and things go a little crazy) in our Co-op Couples column. It looks like the intimacy of co-op gaming - connecting with another person or group of people to play a game is such a strong draw that we'll pay subscription fees to jump in to World of Warcraft to enjoy with our friends. Playing with people you know, or people you can connect to in some way (say, by using the forums on Co-optimus) is an experience in gaming that cannot be matched by playing solo, or most matchmaking situations (though, occasionally great things come from matchmaking, so don't shun it completely). According to IGN's Michael Thomsen, the Borderlands model is one that all co-op games can learn from - but it's also one that explains the basics of why the co-op is so enjoyable in game campaign mode. 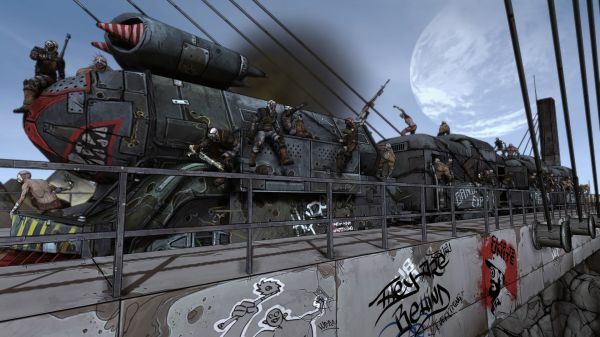 Borderlands is an ideal model for cooperation in games. The in-game content is identical whether playing alone or with partners. 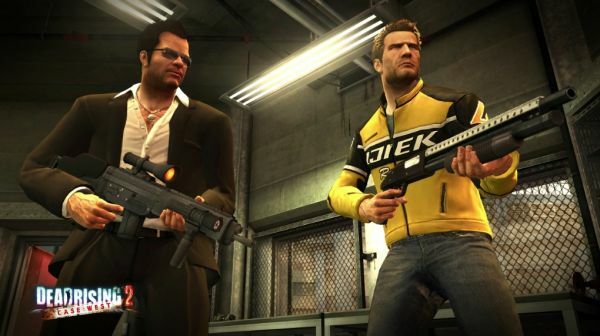 The co-op option is provided as an embellishment to enrich the gameplay for those interested, but isn't necessary to experience the game systems, including its main quest lines, combat, and upgrades. In both single-player and co-op the strategy is identical (i.e. shoot others and steal their belongings), but playing co-operatively opens up tactical possibilities that are impossible for a lone player. These additions make the game's difficulty curve easier to manage, but it also adds a layer of emotional exchange that wouldn't otherwise be in the game. Now we're getting somewhere. The depth added by playing with others is so rewarding we're going back to the same title (in this case, Borderlands but others apply as well) time and time again. We can revisit the Left 4 Dead 2 campaign with our friends, and the experience never gets old. The article addresses risk vs. reward as far as playing the game is concerned. As gamers purchase games at the not-so-inexpensive price of $60 on average, they are looking for some reward in exchange for money. If the reward comes in the form of blood and score - both players will work toward claiming the most kills in the screen to maximize their reward. Things like this competitive co-op drive players to play together while working toward their own satisfaction at the same time. Finally we have the true co-op element that brings gamers together - even if it's just within range to throw a punch or two. The "I can't move past this without your help" co-op. 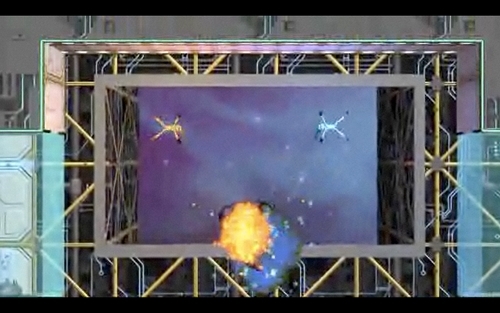 The co-op that drove us mad (in a good way) in 'Splosion Man and will continue to do so in Portal 2. In Portal 2 the pay-offs are not loosed viscera and corpses but ecstatic physical movement. Expanding on the momentum system from the first game, Portal 2 will feature several new ideas, including speed-enhancing gel to paint on floors, and exaggerated bounce pads. Instead of collaborating in violent behavior, players will enable one another to perform increasingly fantastic movements. In the case of the reward in Portal 2 being awesome feats - it's also a matter of survival as it were. If you are playing co-op and you don't cooperate, the penalty is being stuck and unable to move forward. Working together to do something awesome - which I'd love to admit happens quite often in 'Splosion Man when you get the timing just right, is possibly the greatest reward of co-op. So long as games have some motivation in co-op, co-op will continue to thrive in this world of internet connectivity. We love playing together, you love playing together - the Co-op Revolution continues.